Do you really love cigars? Always on the hunt for the next incredible cigar smoking experience? Let your pal Kurt Kendall pick out a selection of outstanding premium cigars just for you! Each one of Kurt's Hand-Picked Selection packs is a personally crafted, hand-selected pack of single cigars straight from the Twins humidor. 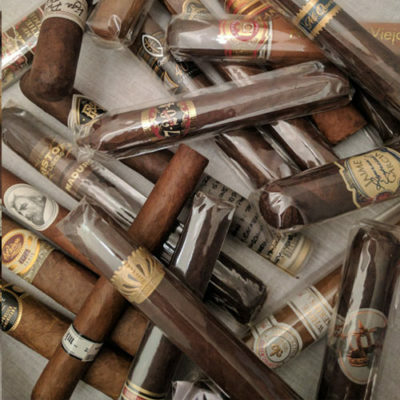 Stuffed with only the best premium and boutique cigars with none of the filler the other guys use in their sampler packs, if you want the best value on the best cigars, you've come to the right place. Check out the photo for some examples of brands included in these packs, each cigar is carefully picked and is in line with the quality of the examples photographed, but each selection is completely unique to your order! 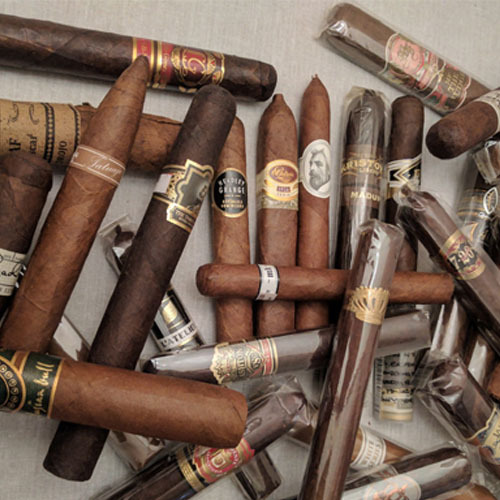 Kurt is a generous guy and loves to share, so give him the chance to be your personal cigar shopper and destroy your mailbox by picking up one of Kurt's Hand-Picked Selection packs!